O’Neal Construction was recognized by the Construction Association of Michigan for safety achievement in the year 2014. The O’Neal team had zero OSHA recordable injuries in 2014, in addition to having a low EMR. 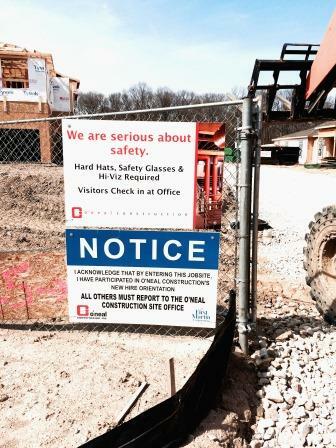 The construction industry is continually improving its safety goals and practices, and CAMSAFETY has provided great leadership for safety in the state of Michigan. We appreciate being recognized by this association, which promotes a focus on the health and safety of workers through training, education, and awareness. The O’Neal team holds safety as a core value. In 2014 we hired a full-time safety director in order to continue to develop our safety program. She is dedicated to maintaining a high standard for every O’Neal jobsite and for every task that is performed on an O’Neal jobsite. We are Serious about Safety!